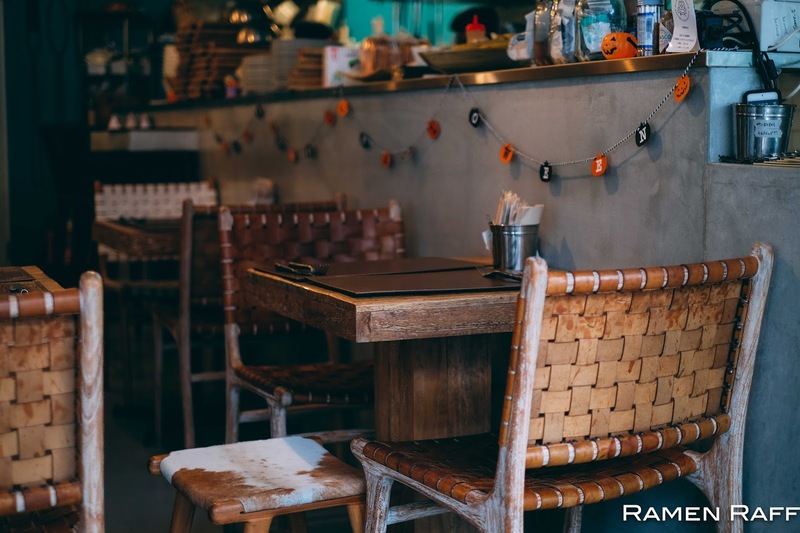 Sure ramen, sushi and tempura are great in Japan and are must haves when you visit. But you know what else the Land of The Rising Sun does well? 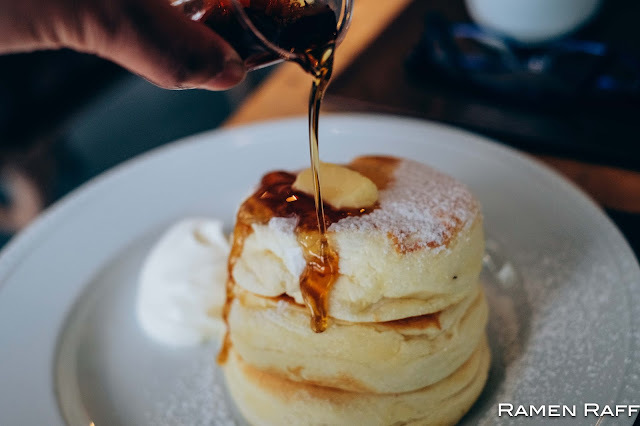 Super fluffy pancakes!! 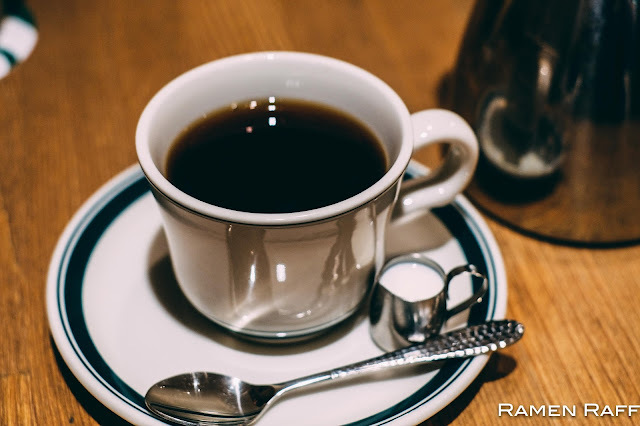 Yes, they have taken this classic Western breakfast staple to the next level. It also became a team Ramen Raff obsession. 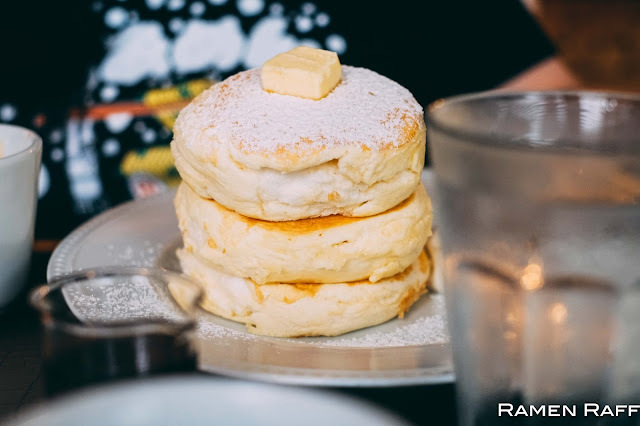 The pancake boom apparently started around when Australia’s Bill’s and Hawaiian/U.S. 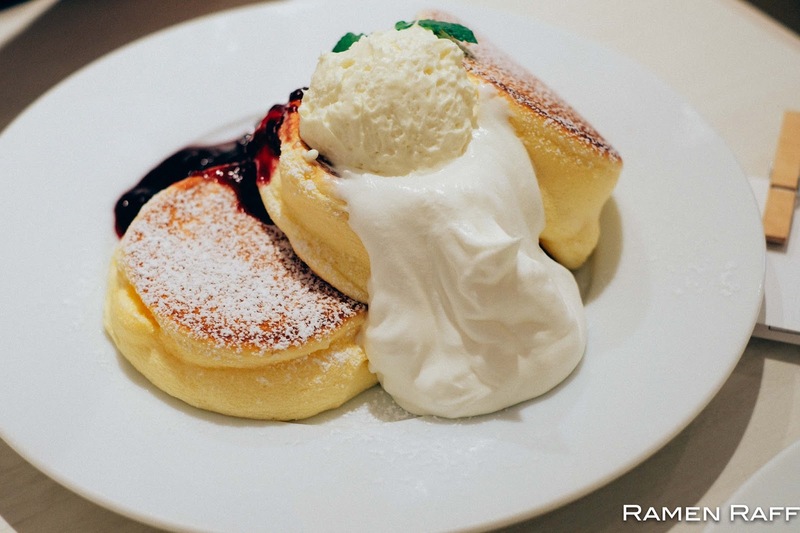 restaurants like Eggs ‘n Things made a mark in Japan. Then there’s the soufflé pancakes by Hoshino Coffee too. 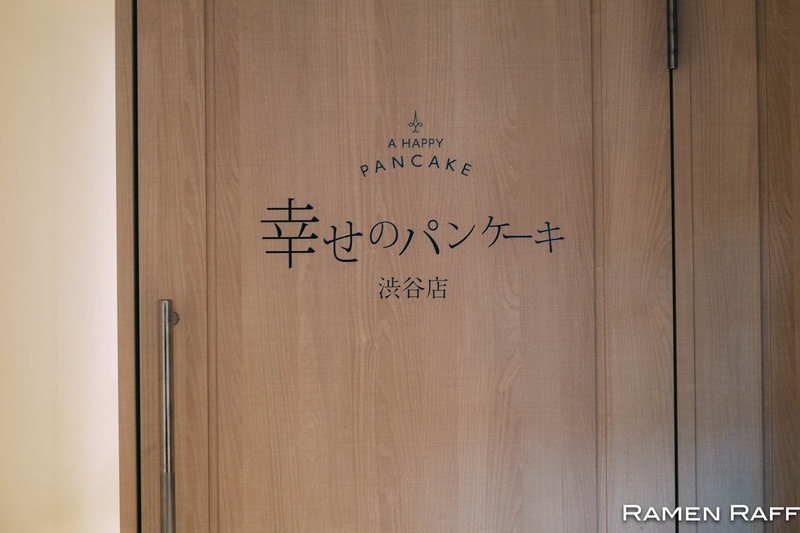 Following the success of those joints, numerous pancake shops opened around the Harajuku area. Then a new breed of soufflé pancakes popped up, which were mostly made popular by Gram Cafe. All the shops had their different recipes and spins to it. 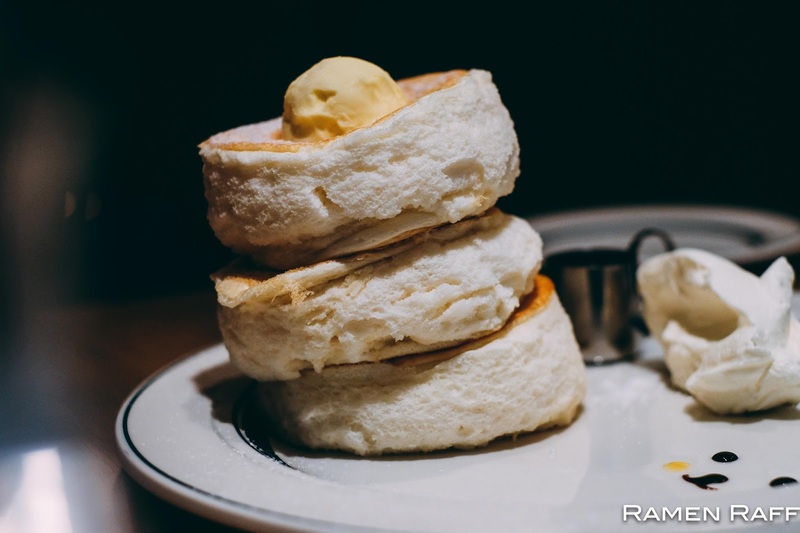 But essentially, the base is this airy meringue-like batter that’s cooked in flat grills. Possibly the most famous and longest of lines out of all the pancake cafe chains. 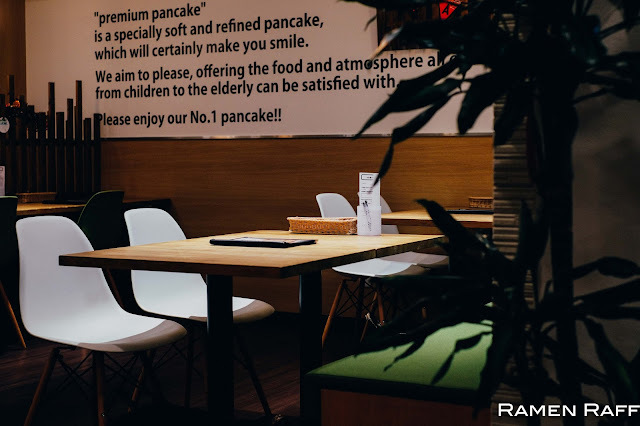 The concept is that there are only 3 slots available for pancake sessions everyday at every shop: 11:00am, 3pm and 6pm. Line up an hour before each session for a ticket (you are only allowed 1 ticket max per person) come back on the allocated time and voila, pancakes are served around 10-15mins later. 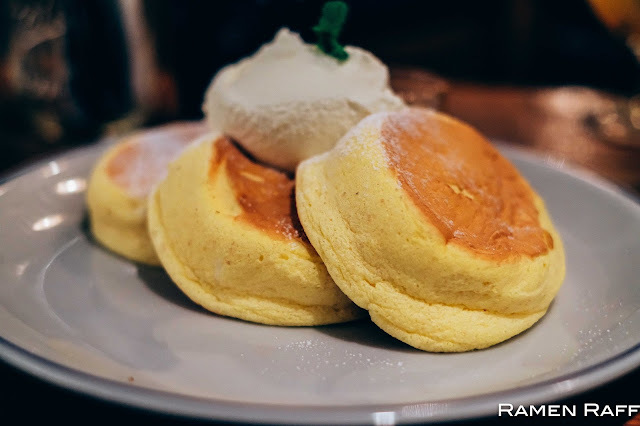 Their premium pancakes (¥950 for 3 pieces) is probably the closest to a soufflé-like consistency with a texture between a soufflé and super soft marshmallow. It’s like eating clouds if you could do so haha! 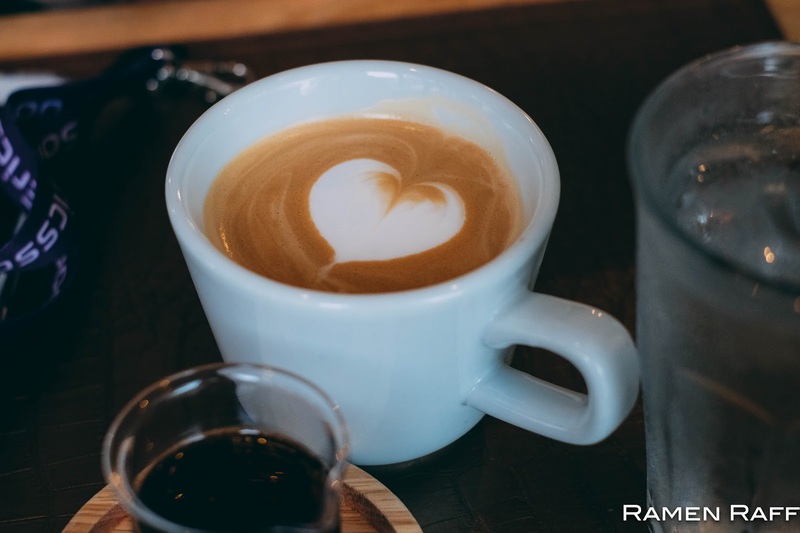 The flavour is somewhat reminiscent of marshmallow too and soft sweet meringue. 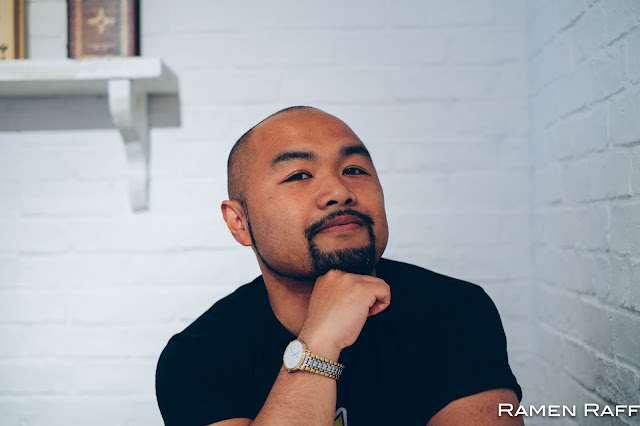 Topped with butter and drizzled with maple syrup. Super wobbly and super soft. Tip: If you happen to be in Kyoto, there’s a branch near Nishiki Market that has no line at all!! Go get it! 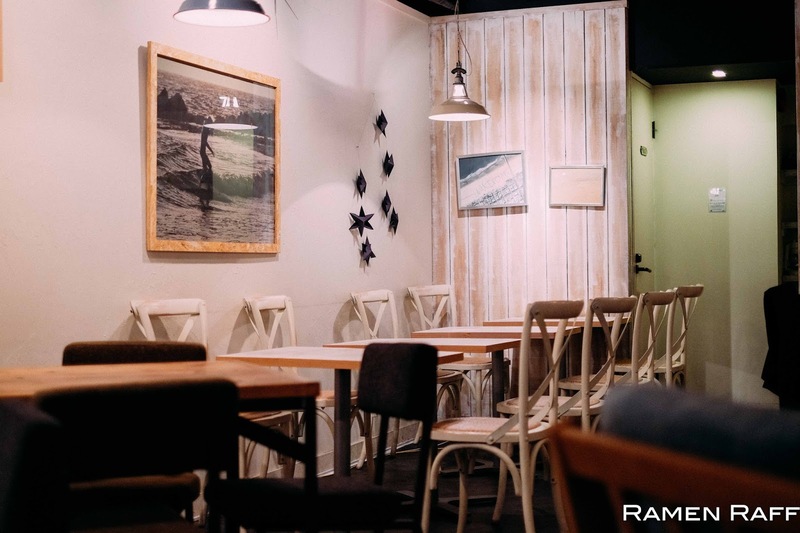 Most Elk cafes are located in the Kansai areas like Osaka and Kyoto. Most of their shops have a chill and homey feel. Their soufflé pancakes are probably more in the cakey side but still quite soft and tasty. 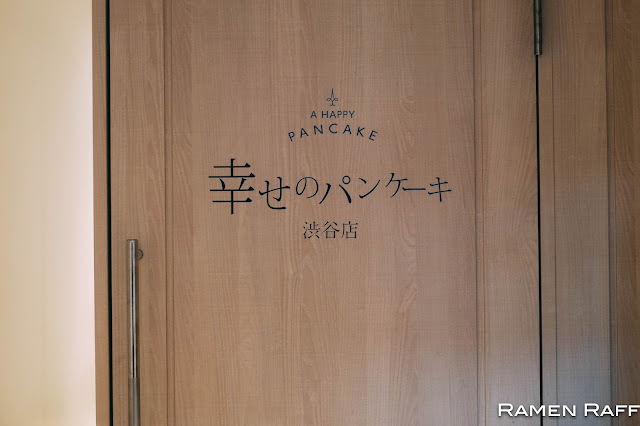 We tried two flavours: The whipping cream & honey (¥900 for 3 pieces) and the Maple & Whipping cream raisin nut butter pancakes (¥1000 for 3 pieces). The first one was more conservative and emphasises more on the pancake. We preferred the latter in terms of the combo of sweetness from the maple and raisin and also the buttery flavours from the nuts. 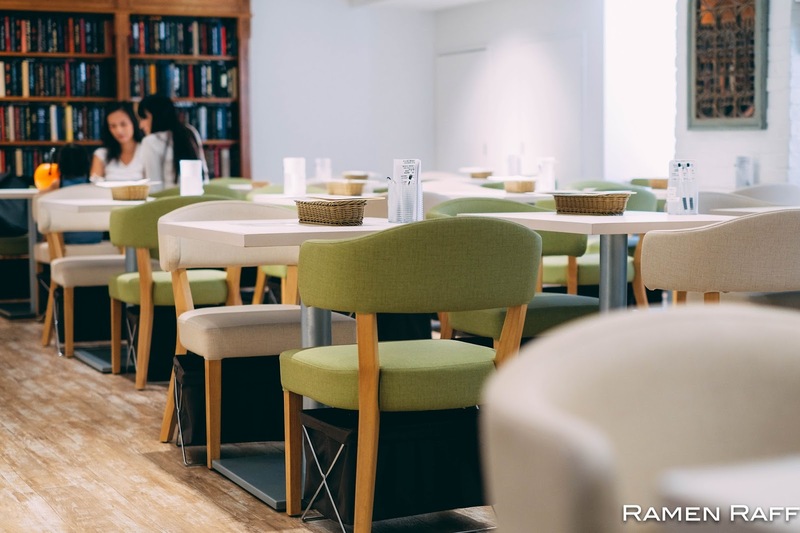 This joint originated in Omotesando Aoyama, Tokyo and the same branch gets easily packed from lunchtime onwards. Just the sound of the shop name alone puts a smile on your face. 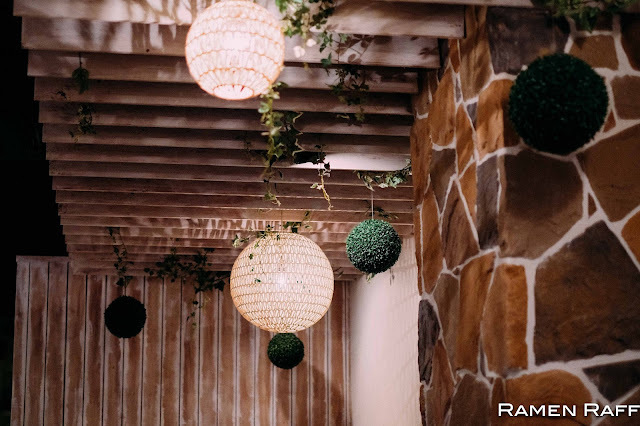 The shop space has a dainty vibe. The system here is that you write down your name and the number of people in your group on a sheet provided at the entrance. Then they either let you wait or tell you when to roughly come back. 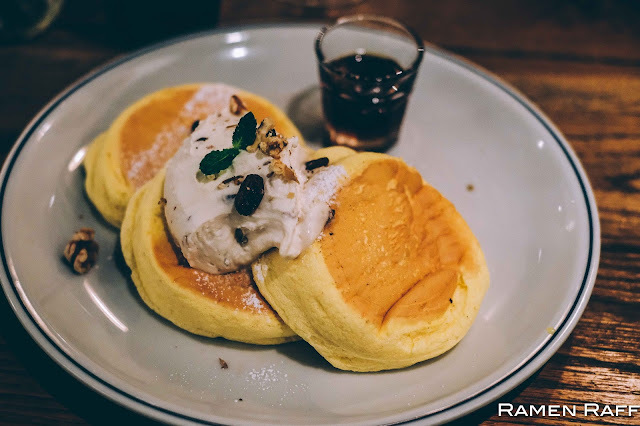 We tried three flavours: 1) The Happy Pancake which was topped with whipped Hokkaido butter with a side of New Zealand manuka honey (¥1,100). 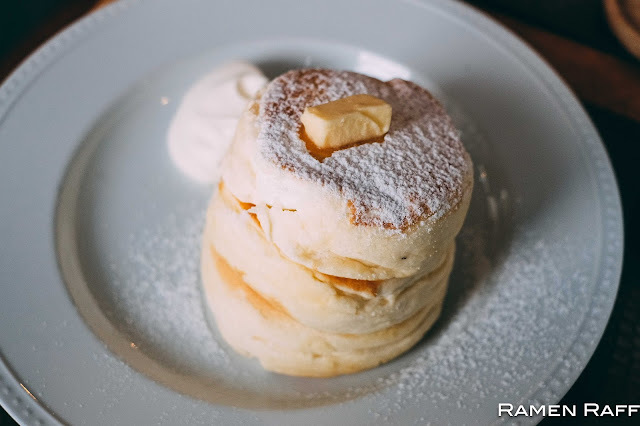 2) Pancake with milk tea sauce, granola and whipped cream (¥1,350). 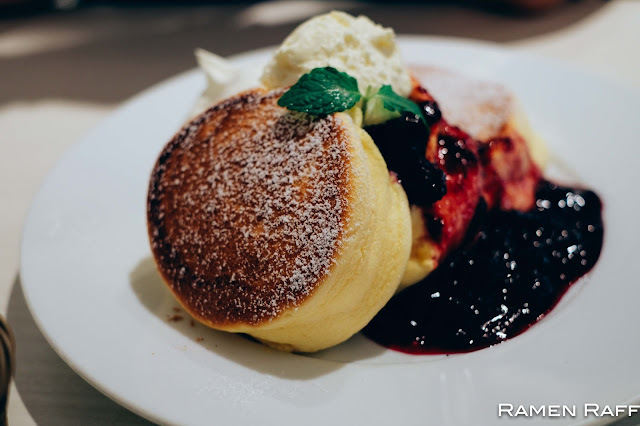 3) Pancake with rich cheese mousse and berry sauce (¥1,280). 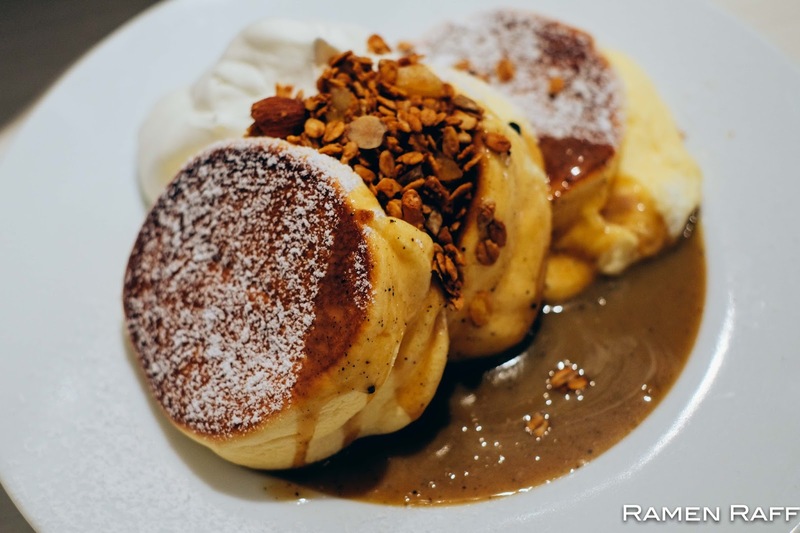 They were all delicious but my favourite was pancake with royal milktea sauce, granola and whipped cream. The milktea sauce was almost like light butterscotch with tea notes and went well with the buttery nutty notes of the granola. Tip: Go to the Dogenzaka branch in Shibuya to avoid crowds. 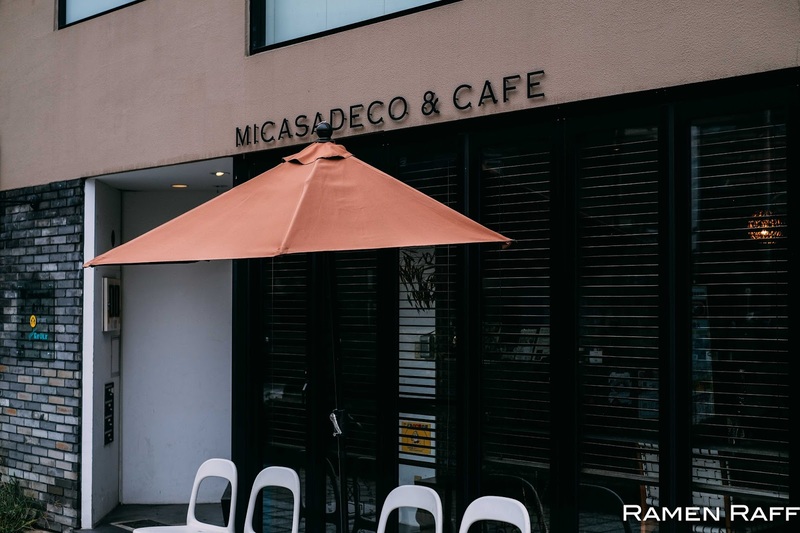 Last but not least is Micasadeco, which were hands down our ABSOLUTE favourite out of all of the pancake places. It also has the best coffee out of all of them. I first spotted this place through Erina aka @Eliseaki ‘s instagram post. The place itself was quite homey and very chill. 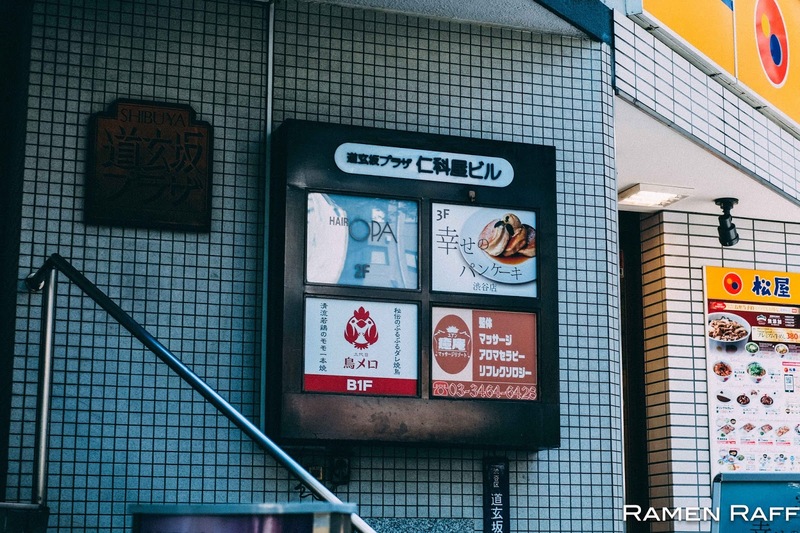 There are 2 branches: one in Osaka and one around Harajuku/Shibuya on Cat Street. 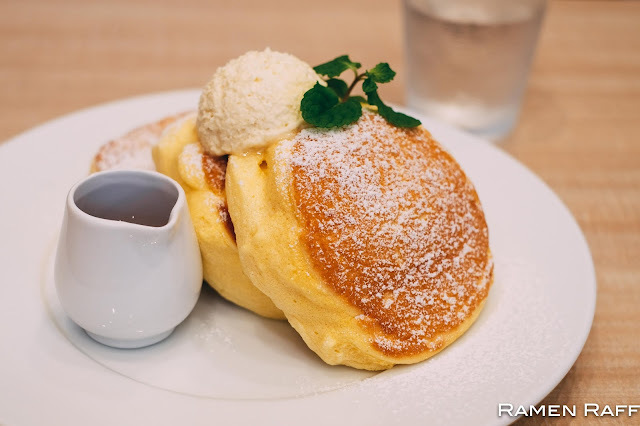 Their ricotta cheese pancakes (¥1,000) is the best pancakes I’ve had in my life to date. Not only was it fluffy, velvety and cloud-like in texture but it also had the sweet creamy taste of ricotta cheese. Simply topped with butter and light icing sugar with a side of maple syrup just highlights how amazing this pancake is. This is a MUST try! 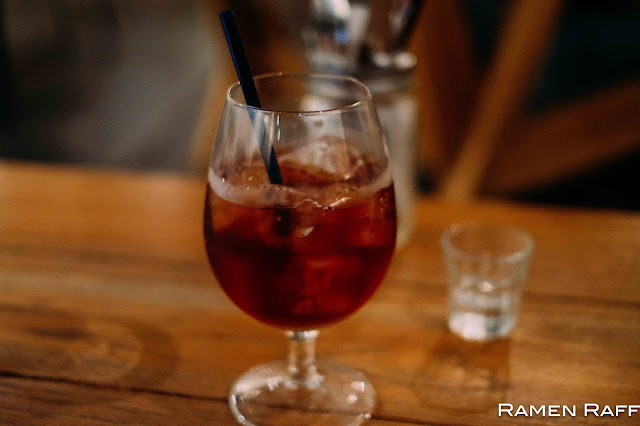 Tip: If you are in Osaka, go visit them! The crowd at their Osaka branch is less hectic. I'm so jealous Raff...... There are Japan 2018 plans in the pipeline so I'll definitely be keeping these in mind!